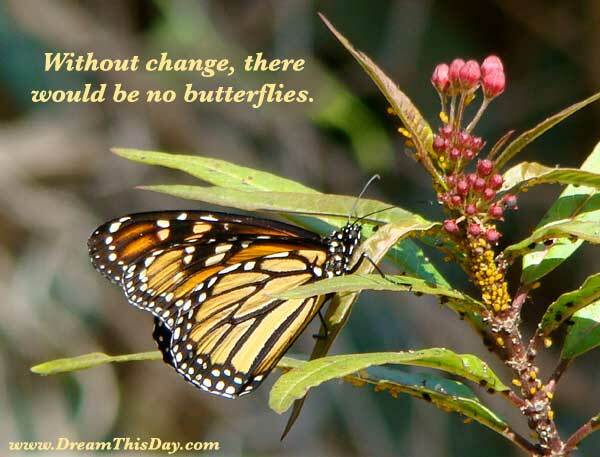 Without change, there would be no butterflies. and delight in the taste of possibility. There is no certainty; there is only adventure. When you are through changing, you are through. Welcome change. Without change, we would always remain caterpillars. Embrace change. Spread your wings. Fly high and free.